Try MixCast for free and merge your worlds today! This free version gives you the ability to experiment and play with MixCast for yourself, your school, or your company. Try it out with your equipment, have fun with a variety of titles and check out your results. VR Content Creators – it’s easy and only takes 5 minutes to integrate our SDK into your project. Then confirm and test your SDK integration before releasing your title to the public, all for free! No green screen required – works with a green screen or without for easy use anywhere! Broad application support – create compelling mixed reality videos from a wide range of VR applications! Test your setup – If you want to check out your set-up and make sure your equipment works with MixCast, or you’re integrating the SDK and want to test the results, use the free version! * MixCast output from the free version is watermarked and for limited use and trial purposes. Not licensed for display, distribution, or resale. See EULA for more details. You know how difficult it can be to create a buzz about your game or VR title when most people haven’t experienced it in its full virtual glory? MixCast solves this problem. Overcome the barrier between the virtual world and the flat world by showing real people in your virtual worlds. Mixed reality is the best way to show off your creation!  Integrate the SDK into your application and take full advantage of the benefits of using MixCast. Show your VR experience as it was meant to be seen and get players interested and enthusiastic about what you’ve created! Create unique, ultra immersive videos and live streams to fully engage your fans and audience! VR arcades love games that are optimized for high-quality mixed reality output. Make sure your game is on their list! The Complete Mixed Reality Solution for VR Arcades! 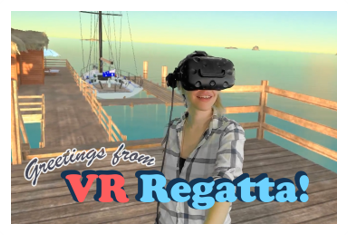 MixCast VR Photobooth and MixCast VR FreeRoam are complete mixed reality solutions for VR arcades, family entertainment centers, location-based VR attractions and any VR out-of-home entertainment space! MixCast makes VR social by showing your guests in the VR experience they’re playing – WITHOUT a green screen. MixCast makes it easy to provide your guests with photos and videos of their VR experiences. We'd love to hear what you're working on! If you’re a student or professor at an educational institution or if you’re interested in using MixCast in your business for a commercial enterprise application, please contact us to discuss how MixCast can benefit you.